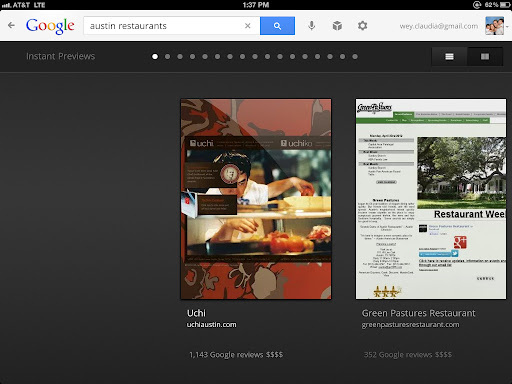 A new view option in the iPad Google app allows to view the result of a search as a preview of the actual pages. I had seen this and used in an older app, which was focused exclusively on this feature. I am glad to have now this beloved feature in my primary search app on my iPad. 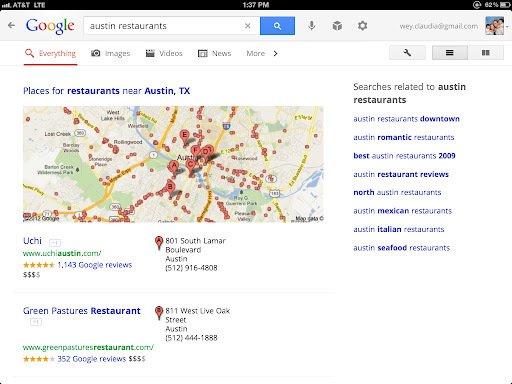 This is the default view for the same search performed on the Google app.By pressing the preview button on the top right, the page displays the previous screen.